Fifteen per cent of the world’s population live with some form of disability. Yet despite this, around the world people with disabilities experience marginalisation and discrimination in their access to essential services. 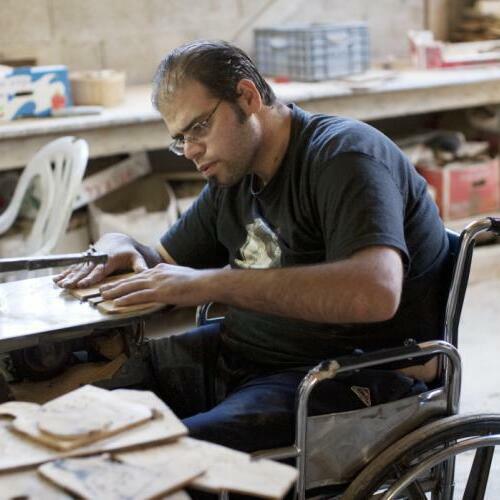 In this podcast to mark International Day of Persons with Disabilities on 3 December, Nader Abu Amsher, director of Christian Aid partner the YMCA rehabilitation programme in the occupied Palestinian territory, talks about a partnership with the Lebanese Physically Handicapped Union, which is helping to restore hope to the lives of people living with disabilities in the occupied Palestinian territory and Lebanon.